Ban on women in combat lifted, Lady Jaye, Scarlet, CoverGirl and the rest, now make more sense. While you’ve probably already heard the news, you may not have thought how it affected one of our favorite (and my personal favorite) 80’s properties. I’ve been slow to get this up (my apologies) but instantly upon hearing the news, I instantly thought about how growing up I had already seen women in combat. The ladies of G.I.Joe, may have even inspired some women out there, as the men of Joe inspired many boys to grow up to be soldiers. To me, it at least helped with acceptance. Even before this news was up the Joe movies were continuing to stick to the comics and cartoons and show us women in combat. 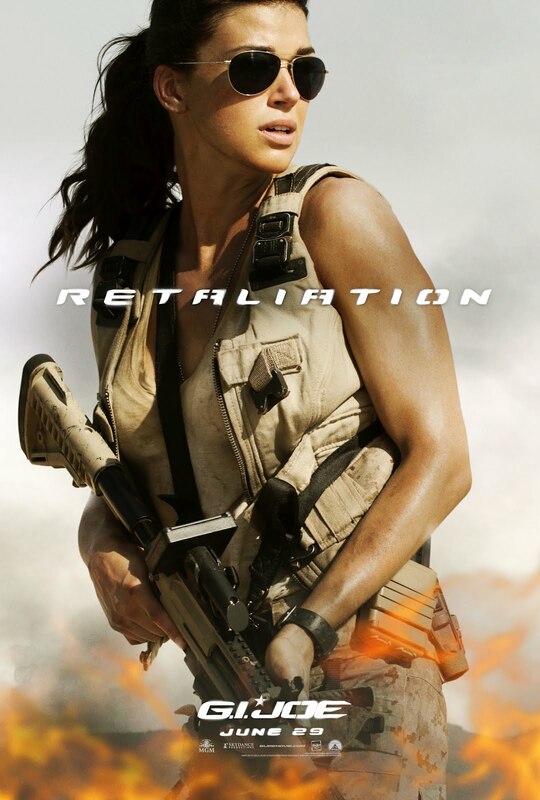 The upcoming G.I.Joe retaliation has two tough ladies fighting on the Joe team. While G.I.Joe may not be as well known as say G.I.Jane the movie, as portraying women in combat, it’s done it’s part, and will continue to do so. To all our real G.I.Joes and G.I.Janes out there God bless, and although the ban is only just now lifted, we are thankful for the lives of all those who have paid the ultimate sacrifice for our country, and this has already included women. To Hasbro, way to predict the future and thanks for showing us positive portrayals of some tough ladies. 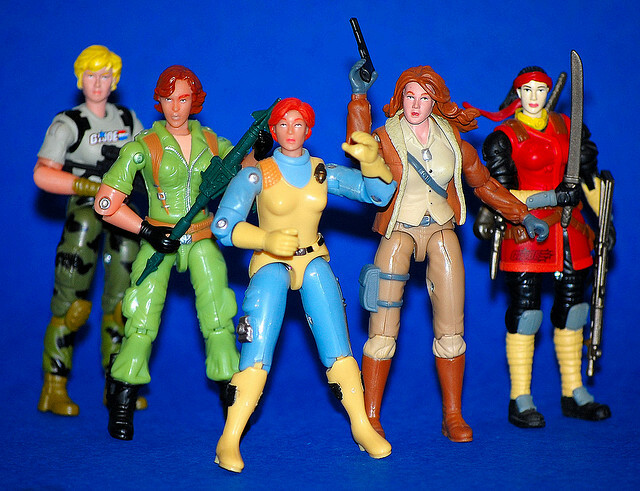 For those curious the list of female G.I.Joes are: Scarlet, Lady Jaye, Covergirl, Jinx, G.I.Jane, Bombstrike/also called Bombshell, Mayday, Doc II, Dailtone II, Hashtag, Helix, Freestyle, Vorana (or Diana/Volga), Firewall, Firewall II (IDW) Chameleon, Chameleon II (IDW)and I might even be missing some more from the IDW run. Lady Jaye is the most military of all the main Joe ladies (Scarlet, Jinx, Cover Girl and herself) Sadly the movie figure doesn’t look like this look either (c’mon Hasbro!) also please ignore the old movie date! 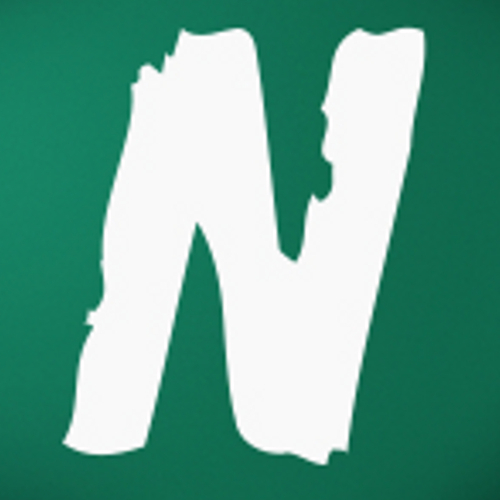 it will be out March 29th. This entry was posted in G.I.Joe and tagged Arashakage, covergirl, G.I.Joe, Jinx, Lady jaye, news, Relatilation, scarlet, the ladies of G.I.Joe by servant sears. Bookmark the permalink.